Starry Nyan - Von Vincat Nyan Gogh. Du can download a big version here. HD Wallpaper and background images in the Nyan Cat club tagged: nyan cat nyan cat poptart rainbow fanart van gogh starry night starry nyan. 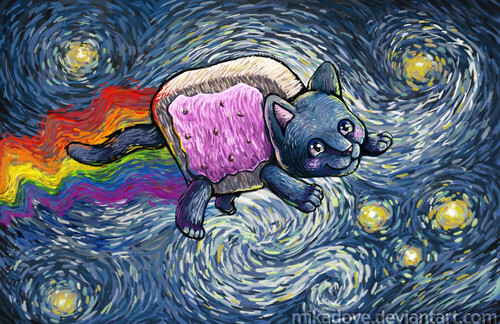 This Nyan Cat fan art might contain rotkohl, fleur de lis, and fleur de lys.